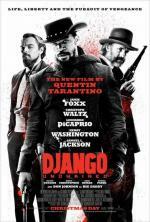 “Quentin Tarantino's latest action/comedy/romance hybrid is by turns dazzling, daring, gruesome and astonishingly funny. Django Unchained is classic Tarantino. The dialogue is some of the wittiest of any screenplay in recent memory.